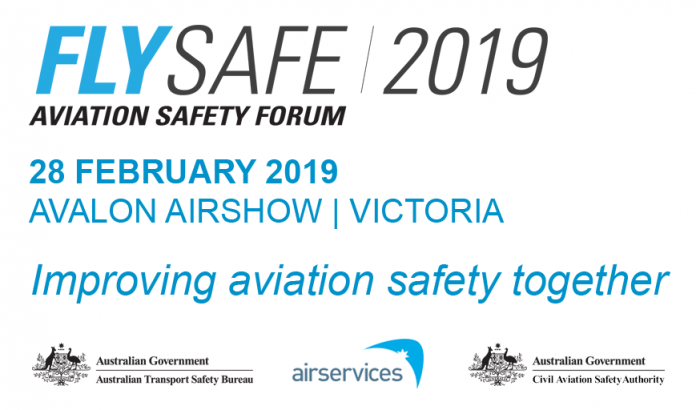 In a concerted effort to maintain Australia’s world-leading safety record, Australia’s three government aviation agencies are hosting the inaugural FlySafe 2019 Aviation Safety Forum at the Australian International Airshow at the end of this month. Airservices Australia, the Australian Transport Safety Bureau (ATSB), and the Civil Aviation Safety Authority (CASA) will together discuss and explore a range of aviation safety issues with the aim of enhancing aviation safety during a full day forum at the airshow, to be held at Avalon Airport in Victoria on Thursday 28 February. FlySafe 2019 is open and free to trade visitors, exhibitors and conference delegates. The forum will include keynote sessions by Airservices Chief Executive Officer Jason Harfield; ATSB Chief Commissioner Greg Hood; and CASA Chief Executive Officer and Director of Aviation Safety, Shane Carmody. Safety experts from the three agencies will be discussing the benefits of enabling a positive safety reporting culture and will also talk through a hypothetical accident at a busy airport to describe the important roles each agency plays during an aviation accident. With the ATSB’s latest annual statistics showing an increase in the number of fatalities from aviation accidents in Australia during 2017, Chief Commissioner Hood said the ATSB regularly investigates aviation accidents involving poor decision making and risk management. 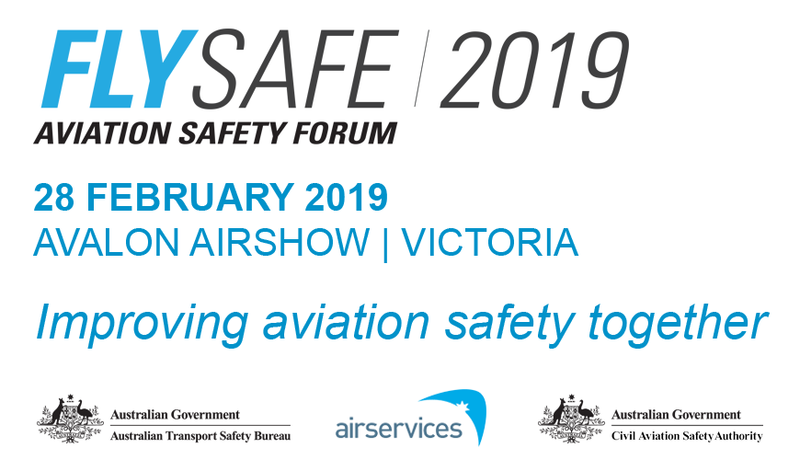 FlySafe 2019 will also hear from the Director of the Defence Flight Safety Bureau, Group Captain Nigel Ward, and from New Zealand’s Transport Accident Investigation Commission, Chief Commissioner, Jane Meares. 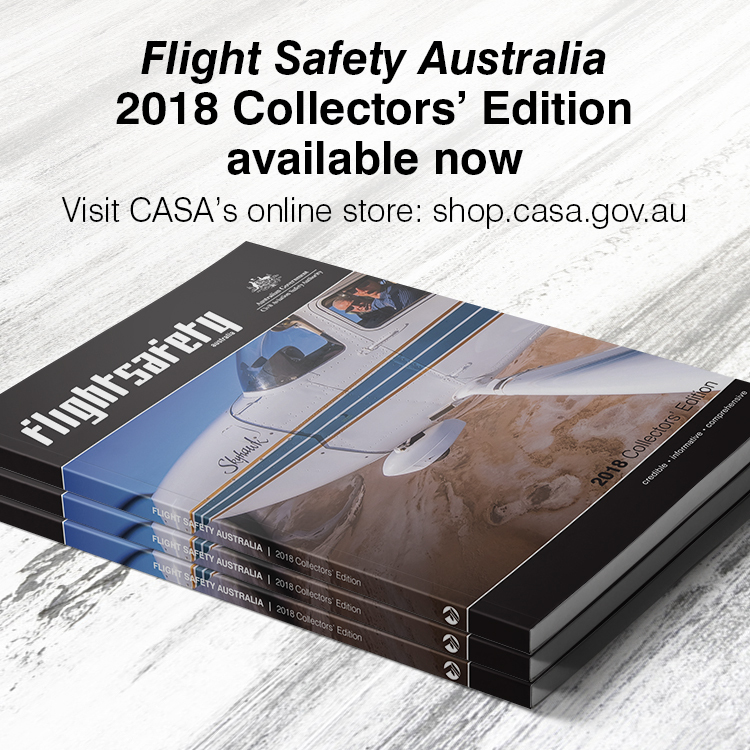 To attend FlySafe 2019, delegates should send their name, titles and affiliation to fly.safe@airservicesaustralia.com before 15 February 2019. Their combined way of improving safety especially at GA level is to remove the problem, the planes themselves & the drivers that go along with them! Problem solved! So far they are achieving just that! As the Aerospace Industry was the birthplace of contemporary Risk Management and has a continuing overtone in most Flight Safety Australia articles, would it not be appropriate for sound Risk Management to be the central theme of the Forum.